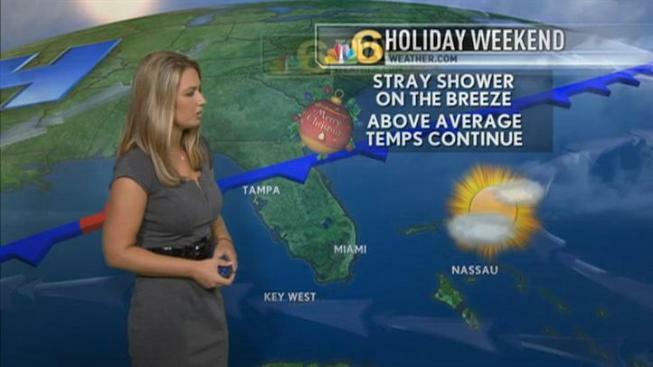 This holiday weekend will be a warm one for South Florida! The first weekend of winter will be a warm one in South Florida, so as everyone is gearing up for the holiday weekend plan on nice weather. Highs will be in the low 80s on Friday with mostly sunny skies. We will see the same trend through the weekend.Highs will stay in the low 80s and lows in the low 70s. A very slight chance of an isolated shower will remain in the forecast through the weekend, but not likely. A light east wind will make for nice conditions. On the water, however, the rip current risk will remain moderate. Have a great holiday weekend. Click here for the NBC Miami interactive radar and forecasts.